Planting a poolside garden isn’t as easy as it seems. Not only do you have to consider what looks aesthetically pleasing, but you also need to think about the logistics behind different plants. The last thing you want, after all, is for strong roots to damage your pool, or for foliage to infiltrate the pool filters! That’s why today, we are sharing a list of our favourite pool-friendly plants. 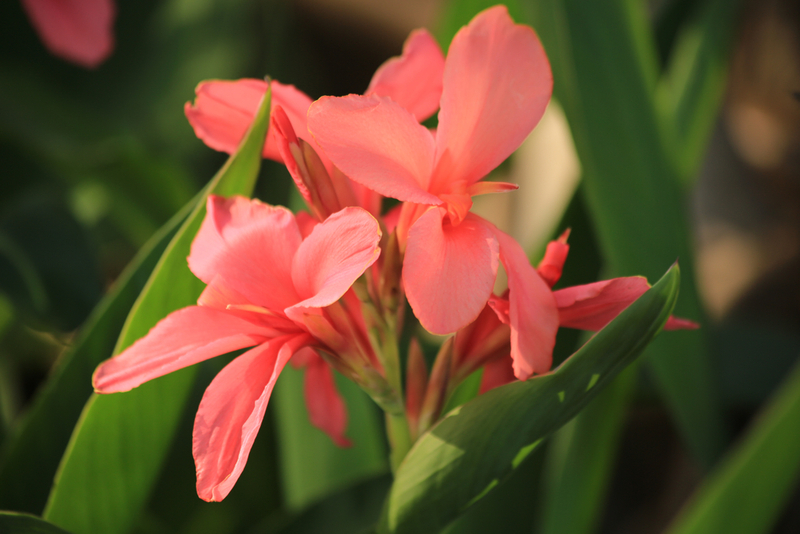 Most cannas thrive in the sun and heat, which makes them perfect summer poolside flowers. Because they are used to heat, they do not need to be watered too often (once a fortnight should be sufficient). They are quite easy on the eye; their flowers are colourful and tropical looking. If you want to hide an unsightly wall or fence, opt for a tall canna variety. When planting a poolside garden, you should consider which plants are going to be able to withstand splashes of either saltwater or chlorinated water. 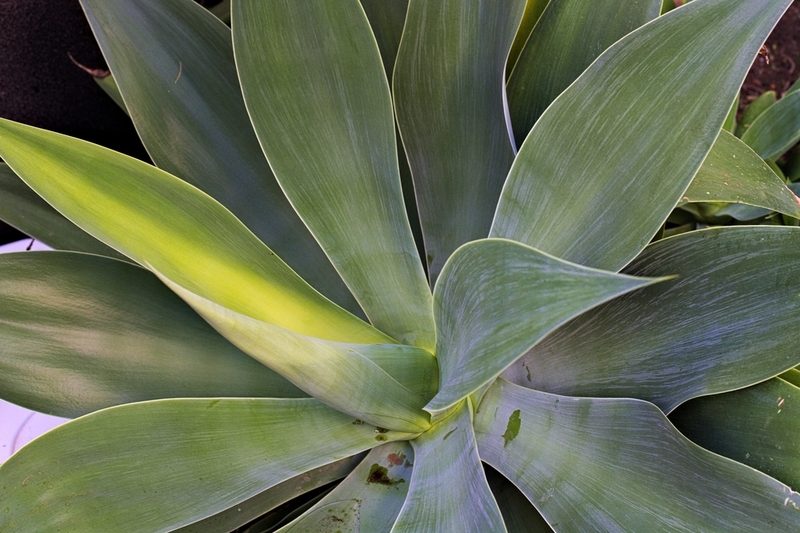 Because of their thick, waxy leaves, agaves are excellent at repelling saltwater and are extremely low maintenance. 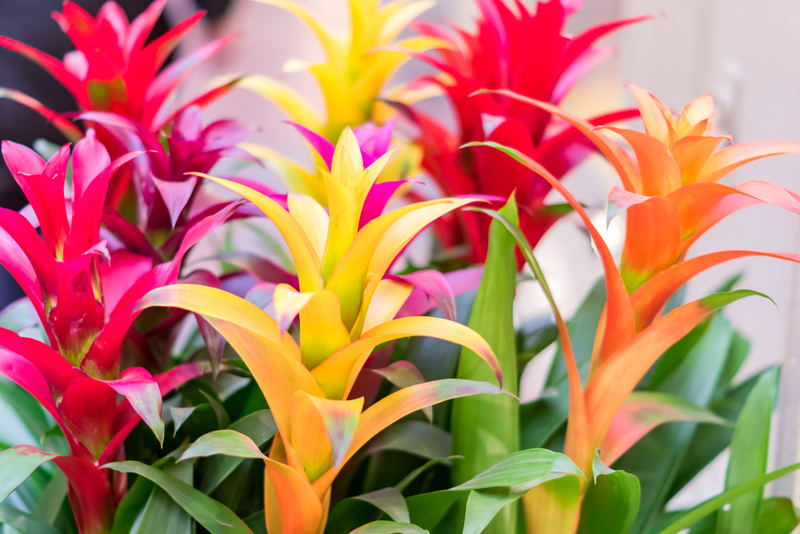 Bromeliads are another tropical-looking, bright plant that is fairly low maintenance and are tolerant of salt water. Bromeliads are great to plant on the side of your pool that is partly shady. Palm trees are great for poolside areas because they provide some cooling shade and they do not release small, troublesome leaves into the pool. Worried that you don’t have the space to grow a palm? There are actually multiple varieties of palms that are suitable for small areas, too. One of our favourites for poolside areas is the golden cane palm. The next tropical flower on our list is the hibiscus. Not only do its gorgeous, red and orange petals evoke tropical imagery, but they are also perfect for planting near the pool. 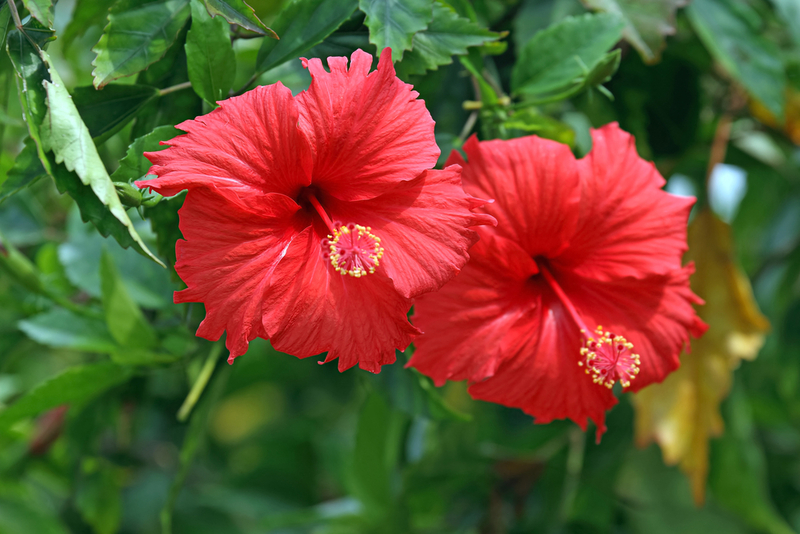 They do need full sunlight, but some hibiscus varieties can withstand cooler conditions. 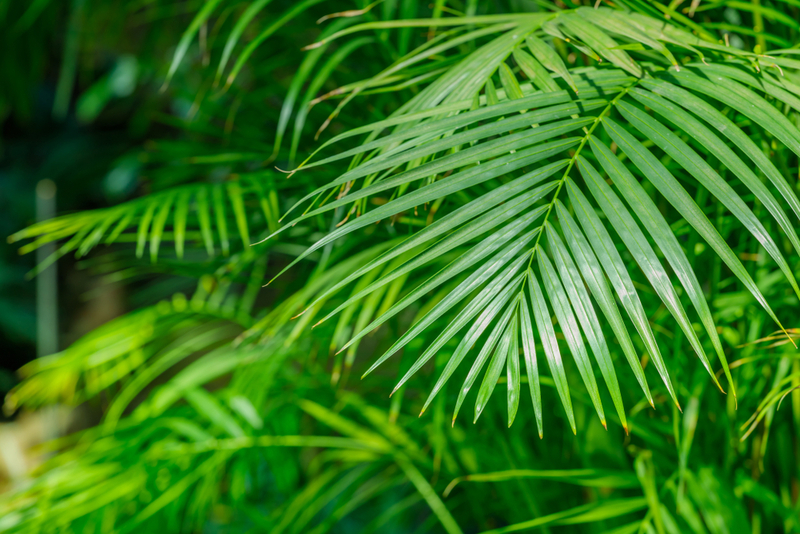 Cycad leaves look similar to palm leaves, but the cycad plants are much lower and smaller than palm trees. If you’re after the palm tree look but don’t have the space to match it, then consider planting cycads instead. 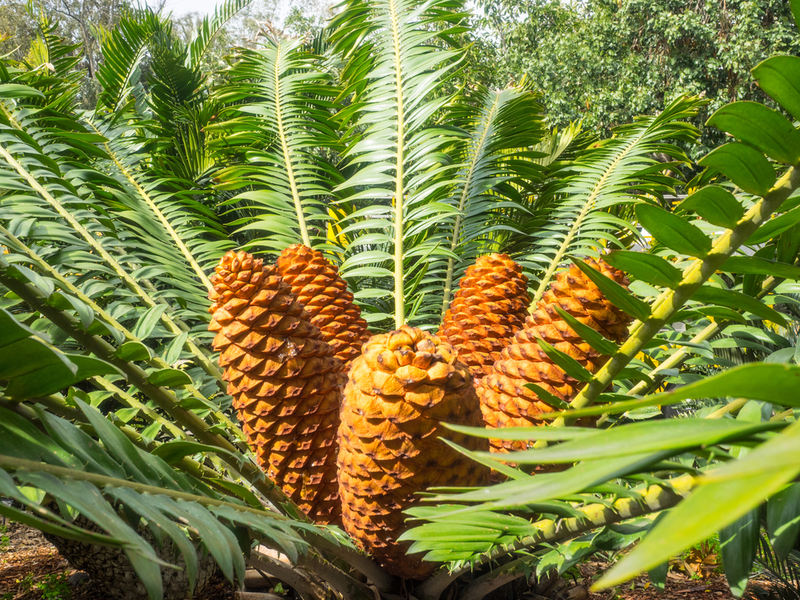 Cycads require full sun and need to be watered around twice a week. 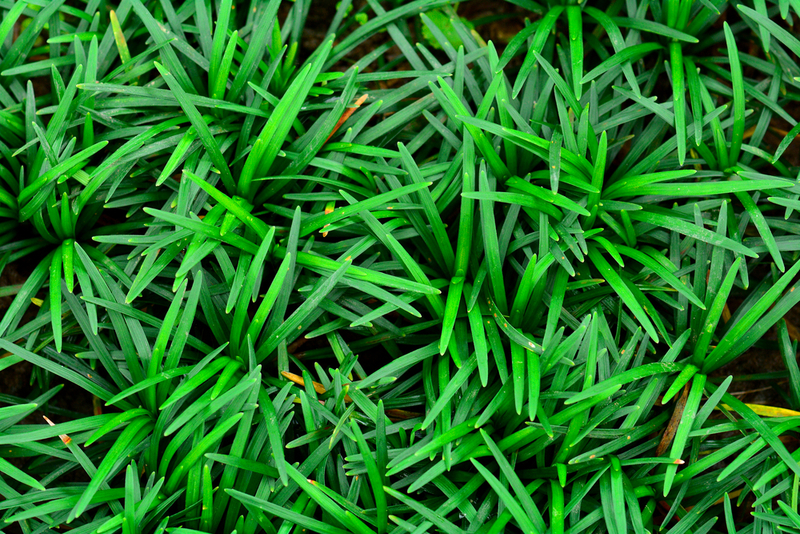 If you’re looking for a plant that you can use to edge around your poolside garden, mondo grass may be the ideal option for you. It’s resistant to saltwater and is quite easy to grow. The fact that it can grow in most conditions means it is also relatively low maintenance. Cordyline is another plant that is fantastic at repelling chlorinated water. Its leathery leaves are highly resistant to chemicals, meaning that the plant can still grow strongly even after it has been splashed by pool water. 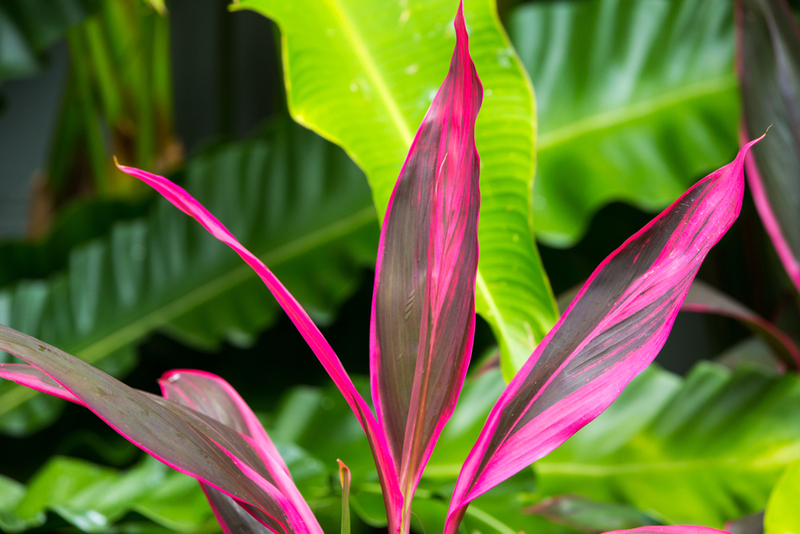 Cordylines are also quite colourful, adding interest to your garden. 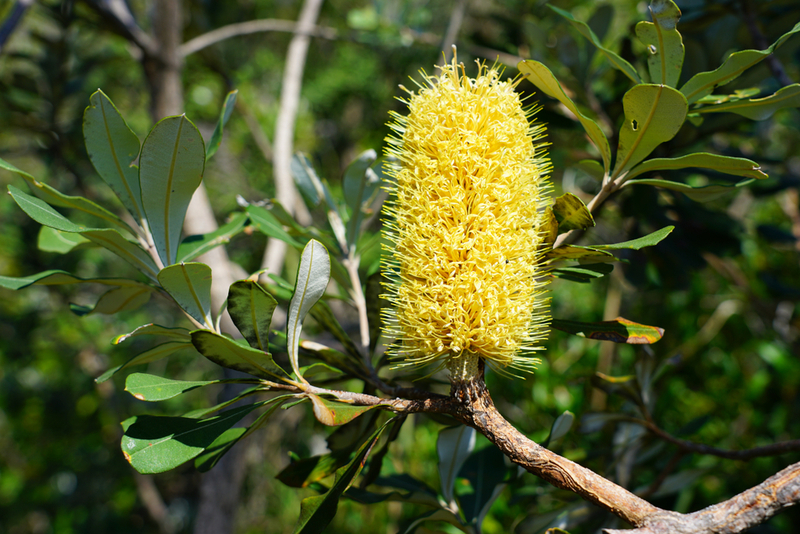 Salt-tolerant, native to Australia and leafy, the coastal banksia is well and truly used to seaside conditions, making it an excellent choice for your garden by the pool. It does grow quite tall, but that shouldn’t be a problem with semi-regular pruning. 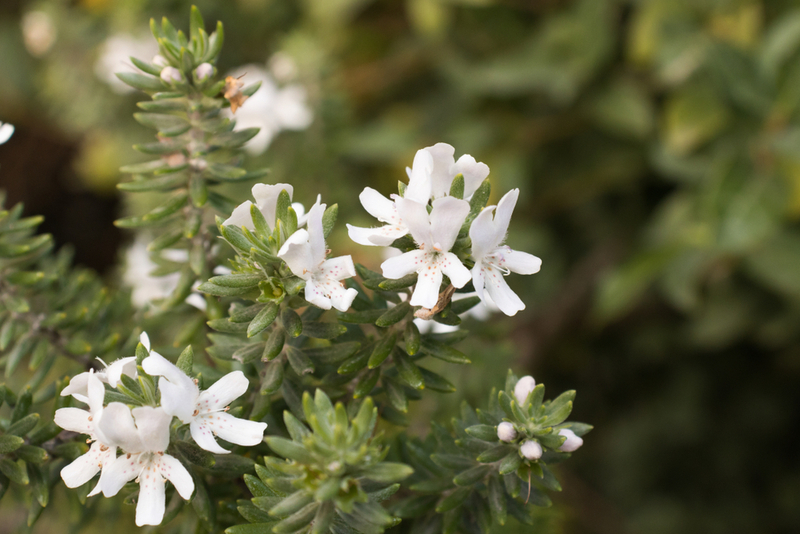 Westringia is one of the most flexible plants on this list. It can grow in both full sunlight and part shade. It can also grow throughout the year in most soil conditions (though it thrives in spring and summer). Planting westringia close to the pool is not a problem either – it is tolerant to saltwater sprays. 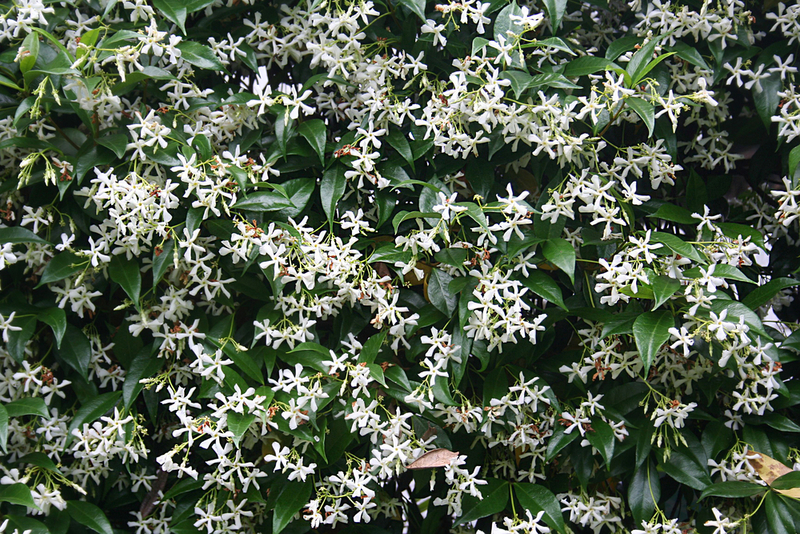 Star jasmine is a gorgeous climber that you can plant to hide an ugly wall that is close to the pool. They are tolerant to both saltwater and chlorinated water, and because they grow upwards, space is not an issue. If you’re looking into upgrading your poolside area, you should reconsider the surrounding pathways and flooring. Exposed aggregate is a fantastic flooring choice for those who want a child-safe pool without compromising on beauty and sophistication. Looking for exposed aggregate contractors in Melbourne? Look no further. A Better Driveway offers a number of concrete services in and around Melbourne, including exposed aggregate, coloured concrete and textured concrete. With over 20 years of experience in the concreting industry, A Better Driveway has been trusted by clients like Crown Casino and Westfield. A Better Driveway provides concrete solutions for both residential and commercial properties. To find out more about our Melbourne exposed aggregate services, get in touch with us on (03) 9308 6112.